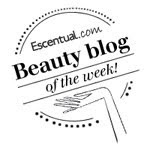 Perfume lovers will delight in this concept from The Fragrance Shop - Similar to the idea of the ever popular beauty boxes that allow you to try before you buy comes this sweet smelling box for fragrance fiends. 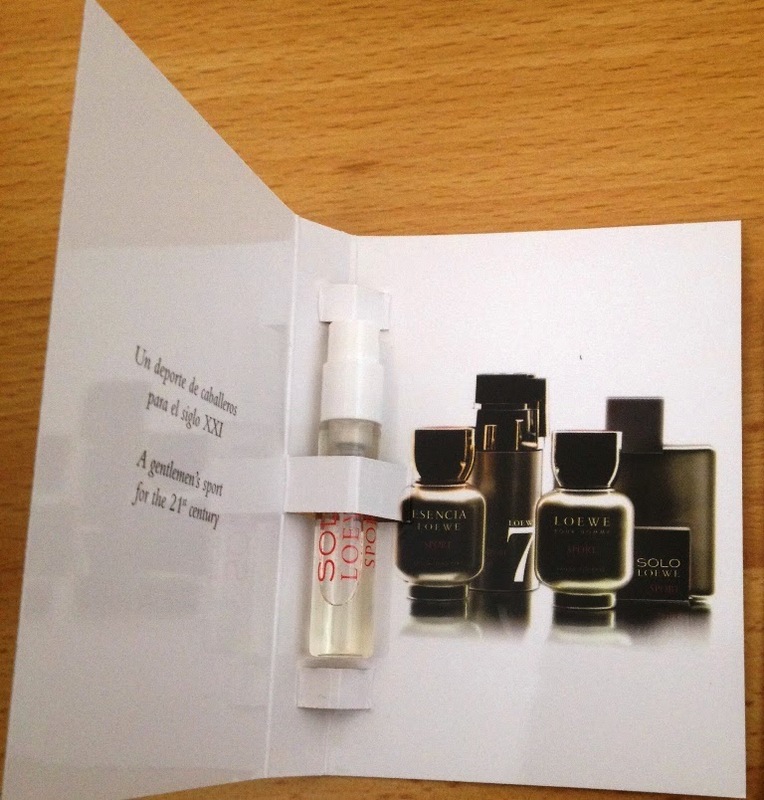 Pay £5 a quarter to receive the latest up to the minute perfume samples (vial size) direct to your door. Usually you will get sent 5 but this edition contains 7 - 5 female and 2 male. 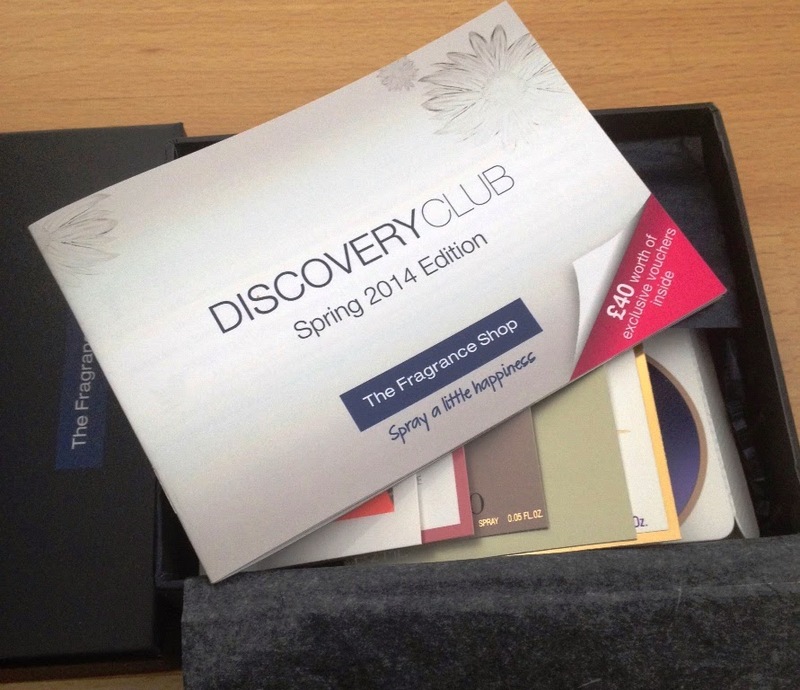 In addition you will receive a booklet describing the scents and £5 off vouchers for each of the fragrances, although in this Spring edition there is a featured fragrance that you can get £10 off of the purchase price. The only thing to bear in mind is that the vouchers expiry date is quite short so if you want to take advantage of any of the offers, you need to move fast. You are not tied to any contract and you can cancel at anytime. 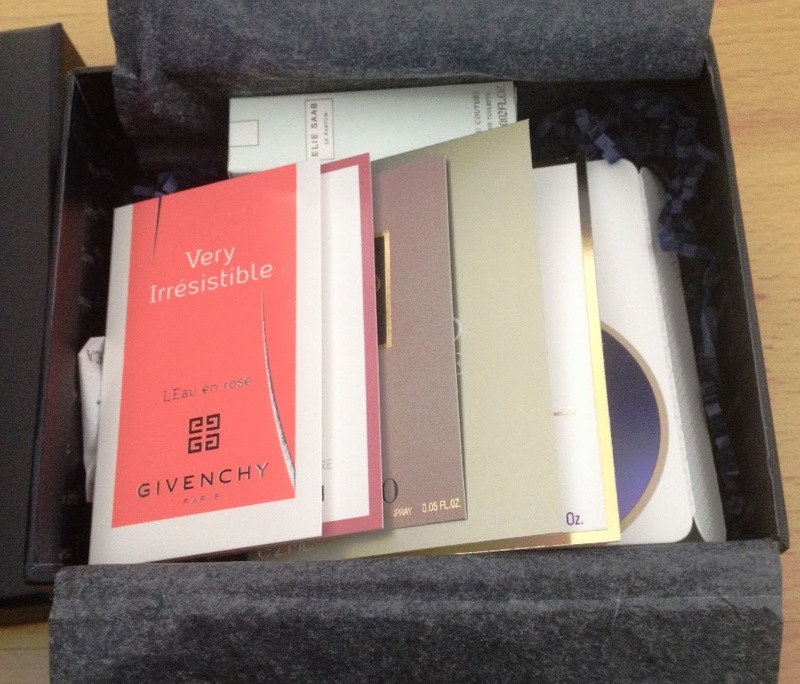 I had great fun trying out the samples in my own time and spent a week each day trying something new.. so which fragrances were featured in the box? The five fragrances for women would definitely have something to appeal to everyone - there is a mix of floral, sensual, evening, fruity and youthful. Described as a woody floral scent fit for the red carpet, perfect for when a splash of luxury is needed. 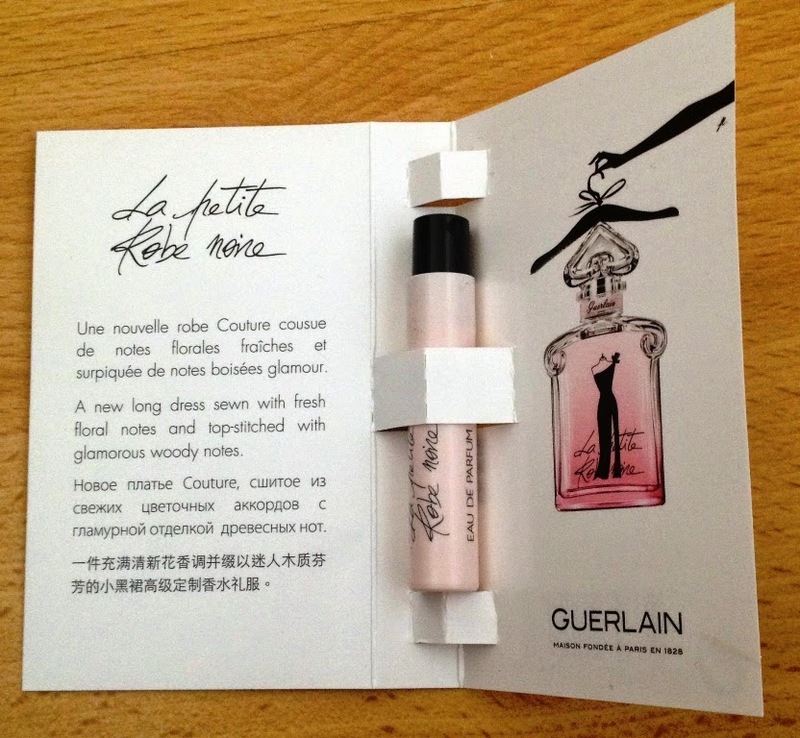 This is the third fragrance to join the La Petite Robe Collection. I am a fan of the original and this is once again equally gorgeous. this has the unmistakable fruity scent of sparkling raspberry with a delicious rose heart. Dry down brings more earthier tones but its warmth never leaves. 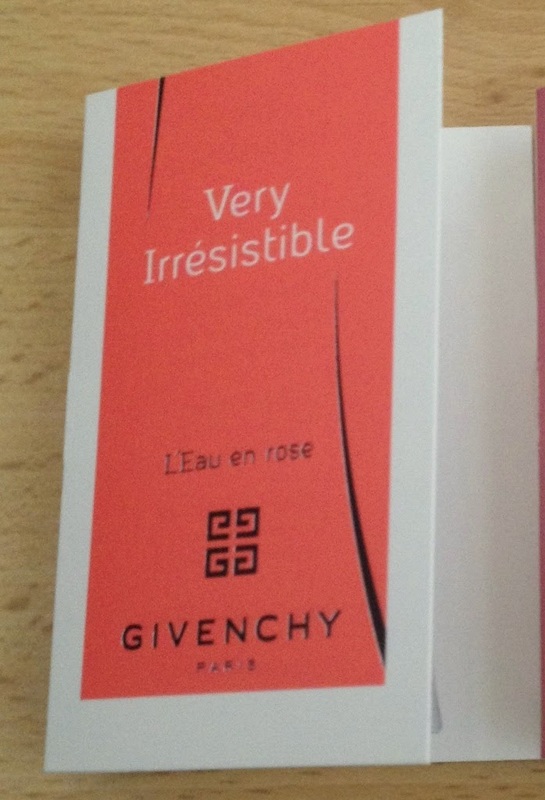 It has been 10 years since the launch of the original Very Irresistible and to celebrate that fact Givenchy has released L'Eau en Rose. It pays homage to the rose in a simple and elegant manner with just a few ingredients. With a fleetingly burst of berries, this scent moves swiftly on to the fresh Rose and then the musk and rose blend to impart a gentle and powdery rose fragrance that lingers. Delicate, this is not your typical rose scent. Not too dissimilar from Love Chloe. Where the original daytime Eau de Lacoste Parfum is sweet, in the new launch the gourmand nougatine, offers a more sensual scent for the night. For me this is definitely an evening scent. I liked it a lot and couldn't stop myself from sniffing my clothes once I had sprayed it. Fruity and sweet but not cloying the blackcurrant and pink pepper shine through. As time passes the amber and sweet nougatine provide the warmth and the sensual aspect of the fragrance. This is a wonderful gourmand (food inspired) fragrance. Sophisticated and delectable. A new chapter in the Alien story brings a message of joy charged with a positive energy. Containing a blend of notes known for their uplifting and energising powers that convey a feeling of happiness and serenity. 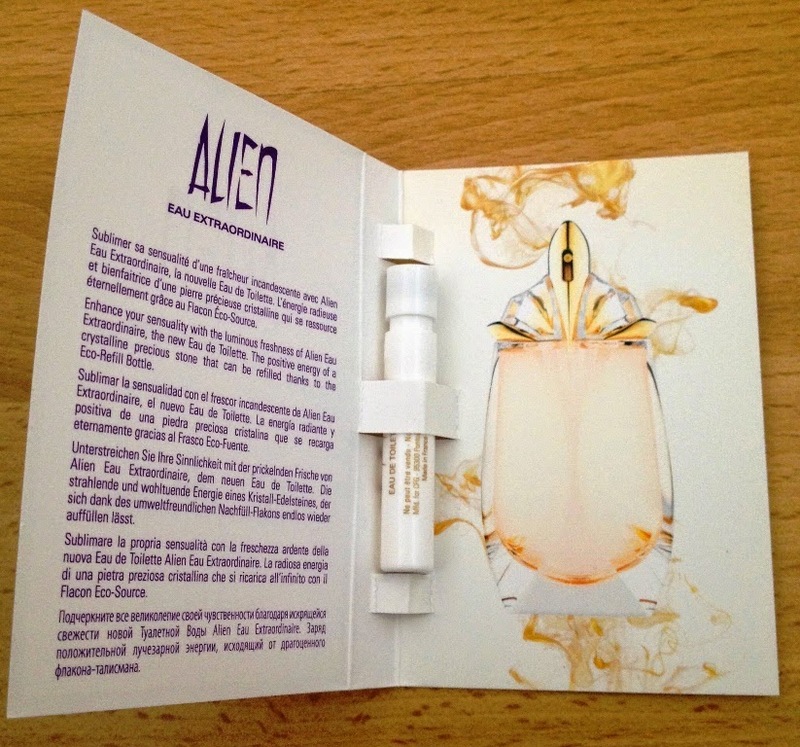 I have to say I was most curious to try the Alien sample from the description. Out of all the female scents this was the freshest and most Springlike to me. I loved the fresh and floral Neroli and Bergamot Tea composition, the warmth came from the woods and Amber. Very nice indeed. I can see this being a very popular addition to the Alien story. A new fresh and deliciously couture fragrance. Created to offer a taste of Spring. This was the one I loved the best. L'Eau Couture kicks off with a blend of citrus and gorgeous floral Magnolia. So very nice. Leading to one of my favourite perfume notes - Orange Blossom (which is the signature ingredient of the Elie Saab Le Parfum collection). Dry down is simply exquisite, rather than going warm it remains fresh with the green almond and delicate and ever so slightly sweet vanilla. So feminine and supremely elegant this is a magnificent day fragrance. 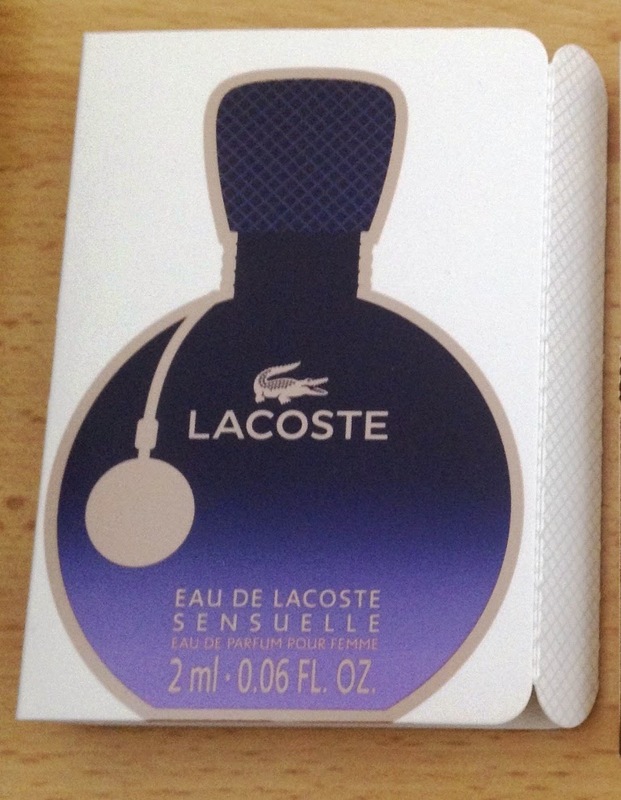 An aromatic, smooth and leathery fragrance. A modern classic. 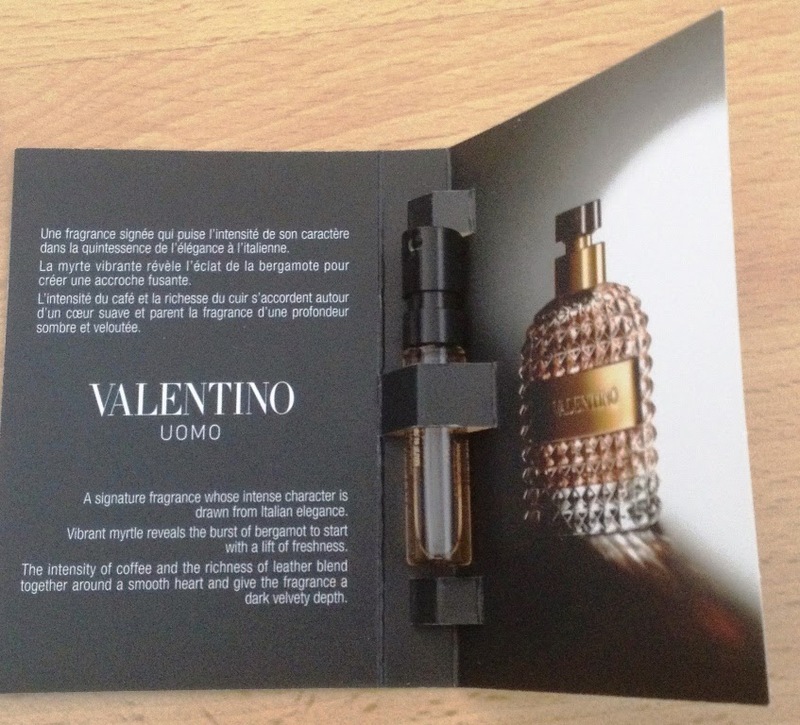 The scent has Italian style with notes composed to reflect an aristocratic Italian family lunch. Rich and sophisticated this oozes charm in abundance but I feel it would appeal to the slightly older and more discerning gentleman. I would choose this for my dad as opposed to my husband as the depth of scent is more traditional, a real classic with reassuring warmth. Spanish Luxury brand Loewe introduce Loewe Solo Sport. Whilst retaining the bottle design and signature notes of the original Loewe Solo, this has added zest and energy and designed to encapsulate the spirit of sports. Youthful, fresh and fruity. This is the perfect Summer scent and my man loves it. I love the added peppery spice that adds a new dimension to its simple freshness. Makes you want to just get up and go, get active. Alluring and invigorating. 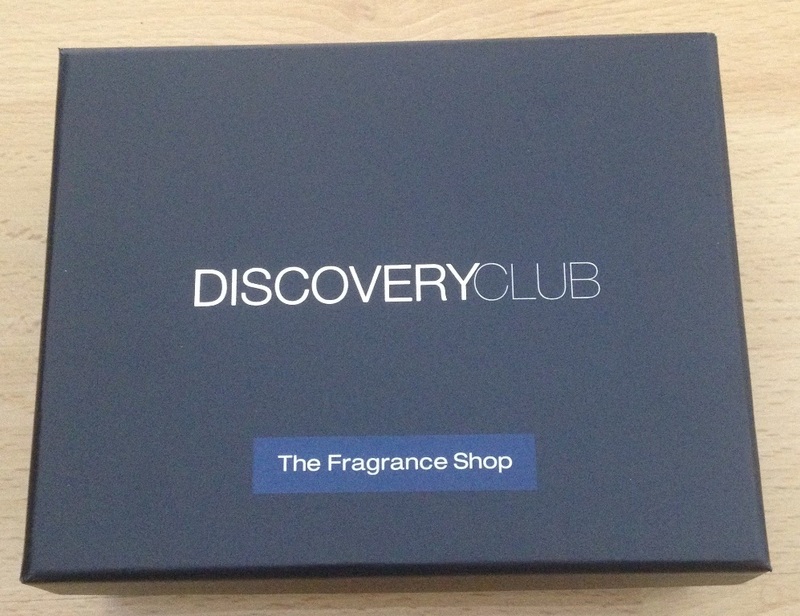 The Discovery Club, a great way to try out new fragrances.